Link building has always been one of the most important SEO tactics. Although this strategy lost much of its influence over the last few years, it is now recovering and becoming increasingly important for SEO purposes. According to the research, backlink in Google search trends peaked in 2011 and then again in 2017. It’s a clear sign that link building is still crucial for the improvement of website ranking, despite the continuous search engine algorithm changes. A survey conducted by Google Search Quality Strategist has revealed that the two most essential signals for ranking websites during searches are link building and quality content. If you want to increase the number of highly-ranked pages, you need to learn contemporary link building solutions. In this post, I will show you 7 Effective SEO Tactics that still work in 2018. Let’s check them out! I already mentioned that content quality is among top SEO priorities, but it’s also one of the best ways to improve link building for your website. It’s an essence of online business, so you need to prove professional credibility by posting highly relevant articles, images, and other types of digital content. Statistical data: People love reading the latest statistical findings because they reveal a lot about industry trends. You should use company reports and monthly, quarterly, or annual market analysis to compile statistical reports and enhance backlinks. Infographics: This is a great way to display loads of information without distracting or burdening your followers. Video content: The Internet is getting more and more visual these days, so you should craft good videos to promote your business. This is particularly the case with product reviews and tutorials because it’s the easiest way for a consumer to learn how to use it. Content curation is another way to ensure more backlinks to your website. It takes patience and hard work, but you can gain a plethora of new clicks by merely compiling a set of information and posts relevant to the targeted niche. It takes a multilevel approach since you need to cover the entire industry, which is never an easy thing to do. First of all, you must leverage the existing content from your website. Secondly, you should not stick to just one content type but include a variety of formats. Thirdly, you need to analyze many different sources and platforms to make sure that you’ve created an all-encompassing digital product. After all, the research found that 80% of marketers share 3rd-party content to improve company visibility and buzz. Finally, you have to add a personal touch to the whole package because it’s the only way to make the curation process memorable and meaningful. As a marketer, you should not be afraid of sharing strong opinions and supporting viewpoints that relate to your brand strategy. It’s a sign of brand mission and values, so you can occasionally take part in activities that reflect your beliefs. On the other side, adding a little controversy to your posts is also good because it inspires emotional reactions in your followers, so you can expect such posts to go viral from time to time. They can start some serious debates and make your content the most important talk of the town, which is always convenient for your link building ambitions. Confront a common belief: Inspire people to reconsider a popular viewpoint, just like this post on content marketing. Take advantage of taboo topics: You can discuss sensitive issues such as diversity and inclusion to grab the attention of curious users. Launch a debate: People love taking sides and playing against each other, so you can launch debates to create buzz. For example, you can ask your followers something like: Is Donald Trump a full-time idiot? The result will be sensational. A digital product is a sensational invention that serves both its creators and users. The former generate valuable leads through online tools, while the latter directly enjoy the practical benefits of these items. 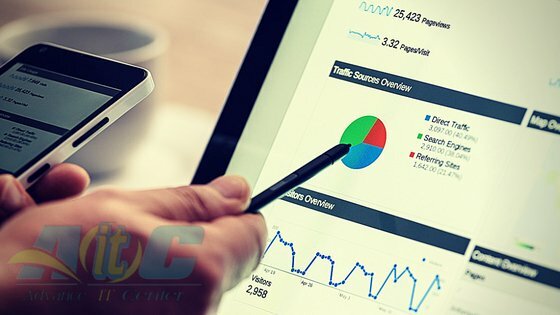 Besides that, digital tools can skyrocket your backlink efforts and make you extremely popular among target consumers, thus enhancing the entire SEO strategy. For instance, CoSchedule provides its visitors with a chance to analyze article headlines free of charge. You only need to subscribe to get the unlimited number of title suggestions and analysis. Headlines get five times as many views as the body copy, so it’s necessary to choose the best option. Therefore, Headline Analyzer is a superb online tool because it helps markers to come up with more effective headlines and improve their SEO potential. At the same time, the tool brings CoSchedule tons of backlinks and makes the whole website more influential in Google searches. Social platforms are the most influential force in the world of digital marketing. Facebook alone gathers more than 2 billion monthly active users, while networks like Instagram or Twitter also attract hundreds of millions of users on a daily basis. It means that your content must be present on social media as well if you want to boost the link building process. This channel allows you to increase brand exposure and drive user engagement. Of course, you shouldn’t use it too frequently and promote every little piece of content you produce. On the contrary, you should occasionally publish exciting but straightforward social posts along with URLs. In case you get it right, you will inspire people to follow the link and visit your website as a result. It’s a good tactic to increase the number of likes, shares, and comments, but also to attract more website visitors through backlinks. Guest blogging has some benefits – it boosts brand awareness, strengthens your online reputation, helps you to build relationships with readers, and supports link building. The last advantage I mentioned is not the primary backlink method, but it’s the one that gives your links the secret SEO ingredient called credibility. What is the best way to becoming a relevant guest blogger? The answer is simple – you need to keep the highest level of quality, week in and week out. Only once you’ve established yourself as a good author, you can expect other bloggers to accept your outreach proposals. Do the research: Before writing or suggesting a guest post topic, do the research and cover every aspect of the topic to make the best outline possible. Go for evergreen content: Some posts are time-sensitive, but most themes allow you to take a long-term approach and write content that can stick around and bring you backlink results for years. Include CTA: Whatever you write, always include a clear call to action (CTA) to encourage people to visit your website. The power of word of mouth marketing is continuously increasing. According to the study, almost half of all consumers rely on influencer recommendations when purchasing products. You should seize the opportunity to reach out to social influencers in your niche and approach their followers. It’s a genuine backlink builder that impacts SEO by expanding brand awareness and driving website traffic. Social influencers can write product or website reviews and launch contests on your behalf. On the other hand, you can leverage influencer marketing by merely mentioning them in your posts. If you don’t know where to find the most suitable influencers, tools such as Buzzsumo can give you a hand. They give you data-driven insights to fuel your link building strategy, facilitating a much deeper understanding of your social footprint. Link building had its ups and downs when it comes to the impact it makes on search engine optimization, but it’s clear that this tactic is still highly relevant in 2018. If you want to improve your SEO strategy, you have to make sure that you’ve got the right backlink solution on your side. In this post, I showed you seven SEO tactics that are still alive and kicking. Do you already use any of these tricks? Do you have other exciting ideas to share with my followers? Let me know in comments, and I’ll be glad to discuss this topic with you! Mark Thomson is an Internet marketer specialist and a part-time blogger. He is the founder of an Assignment Masters writing service which provides help in programming assignments. Mark loves to share professional experience and knowledge with his followers.